As a pedestrian, you can quality for accident compensation in the event of injury caused by another pedestrian, driver, cyclist, local authority, or road user. If we can prove that your road traffic accident injuries were caused by another person’s negligence then this will form the basis for a personal injury claim – call us today so our no win no fee* solicitors can advise you. No Win No Fee* Pedestrian Accident Claims – If you have been involved in a road accident as a pedestrian, whether hit by car, a cyclist, or tripped up on a pavement, then you could be eligible for personal injury damages. Call our Freephone number today to discuss the potential for pedestrian injury compensation. It goes without saying that all forms of road traffic accidents can result in very bad injuries for those involved. However, as a pedestrian you are even more at risk of a serious personal injury due to collision – this is why the Highway Code stresses an emphasis on motorists having to give pedestrians the right of way. An example of how personal injury law can be applied in the case of pedestrian road accidents involves a recent case where a person believed that they had ample time to cross a road. A car driver saw the person from over one hundred yards away but still hit him. Even though the claimant was not crossing using a pedestrian crossing, the courts decided in favour of the pedestrian as they ruled that the car driver must have been speeding and failing to pay due care and attention whilst driving. The courts ruled that the driver had to take 80% responsibility for what had happened… as a result the claimant was able to receive a sizeable pedestrian injury compensation award for their pedestrian accident claim. Even if you are a pedestrian, and think you were actually at fault, then all is not lost. It might still be possible for us to pursue a pedestrian accident claim for compensation on your behalf as you could be due to receive damages due to how the law in the UK is structured. Why Choose Us for Pedestrians Accident Advice? With years of experience and expert personal injury solicitors who have successfully claimed for damages for thousands of clients, you will stand a high chance of success when using us to pursue any compensation claim. When you call we will treat your case with sympathy and confidence and quickly tell you whether or not you can make pedestrian accident claims for compensation. Call us now for a no-obligation discussion. For more information on how the City of London is looking to improve pedestrian safety please visit their website. If you would like to make a personal injury compensation claim via our expert solicitors and lawyers then please ensure that you take the following steps. Please note that this is not essential, but can make the claims process quicker. Call our Freephone number if you are unsure about anything that we detail below. Provide proof that someone else was at fault for your personal injury, for example a driver. 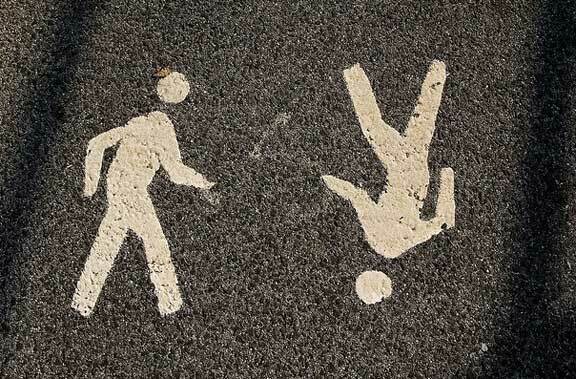 To support your pedestrian accident claim try to gather witness information at the time of the accident. Make sure that the police are made aware of the accident and report it on file. Keep any expenses that you incur as a result of your personal injury. At the Accident Claims Web we are specialists in dealing with personal injury claims and road traffic accident compensation. Over the years, our pedestrian accident lawyers and solicitors have helped thousands of people to claim successfully for accident compensation. The statistics around pedestrians deaths and injuries are still far too high according to recent figures, and we fight to help our clients receive the best care and financial support possible in the event of injury. We asked a few of our leading experts to give some examples where they have successfully won damages for their clients when it concerned pedestrian injury compensation. In our first case example, a pedestrian stepped out into the road and was hit by a cyclist. The client received cuts, bruises, and a bump to the head. Our pedestrian accident claims solicitor took the case on and successfully won damages in the four figure range for the pedestrian’s personal injury claim. One of the more common pedestrian accident claims cases we deal with are when clients wish to make a “knocked over by car claim”. A couple of years ago one of our personal injury solicitors represented a client who was returning home from work and had to cross a busy road. Despite looking both ways, and crossing safely, the client was knocked over by a car who sped around the corner without due care and attention. The pedestrian was hospitalised for one month with fractures and breaks. Our personal injury lawyers managed to win them a five figure sum in the form of pedestrian accident compensation. Thankfully most pedestrian road accidents are not always this serious, and our client made a full recovery from their injuries. Poorly and badly maintained pavements and pathways can lead to personal injury and pedestrian accident claims – and this case was no different. Our client tripped over a loose paving slab, fracturing her shoulder. Our personal pedestrian accident solicitors were able to help her to win a four figure sum of damages from the local authority charged with maintaining the public paths.